Senior Care Authority, the nation’s leading eldercare consulting franchise, has armed its franchise owners with tools that will help each of them grow their businesses for years to come. 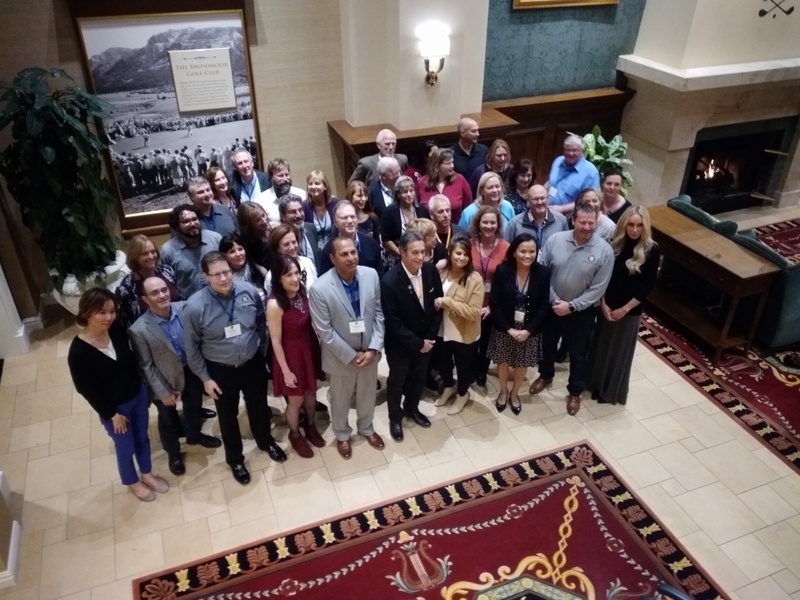 Senior Care Authority hosted its team of business owners late last month at its annual franchisee conference in Colorado Springs, Colorado. The gathering took place at Broadmoor Resort October 26 through October 28. Attendees followed a tight schedule that included keynote addresses by two nationally recognized speakers. Debra Fine, author of “The Fine Art of Smart Talk,” discussed ways for franchisees to build business relationships one conversation at a time, while geriatric medicine specialist Dr. Elizabeth Landsverk addressed the many hills and valleys of dementia care and how to advise families who are caring for a loved one who is battling the incurable disease. says Frank Samson, founder and CEO of Senior Care Authority, author of “The Aging Baby Boomers” and creator of Boomers Today podcast. Senior Care Authority advisors from around the country come together to not only learn about new and upcoming trends in eldercare, but they also swap stories from the field and return home with valuable information to improve the day-to-day operations at their franchise location. Senior Care Authority serves nearly 60 communities in 13 states. At each location, senior advisors help families with the overwhelming challenge of selecting the best options in assisted living, memory care, nursing care and other long-term care services. The need for this kind of service is booming. Someone turns 65 every 13 seconds in America today. As loved ones age, the burden of care of seniors usually falls on the adult children. The professionally trained and experienced advisors with Senior Care Authority consult with families and help eliminate a lot of the stress. They meet with families to assess their elderly loved one’s care and financial needs before recommending the highest-quality living and care options. Senior Care Authority® is a Senior Placement and ElderCare Consulting organization based in Petaluma, California. Founded in 2009, the franchise serves nearly 60 communities in 13 states. Senior Care Authority provides a national network of professionally trained and experienced local advisors who assist families with the overwhelming challenges associated with selecting the best options in assisted living, memory care, nursing care and other long-term services. The company landed on Entrepreneur’s Top 500 New Franchises list in 2017 and 2018. For more information visit www.seniorcareauthority.com.